Ujvala Singh has a depth of knowledge and experience in legal malpractice, ethics, and breach of fiduciary duty cases. She represents companies and individuals in pursuing such claims, and is available to counsel law firms and other organizations on legal ethics issues. 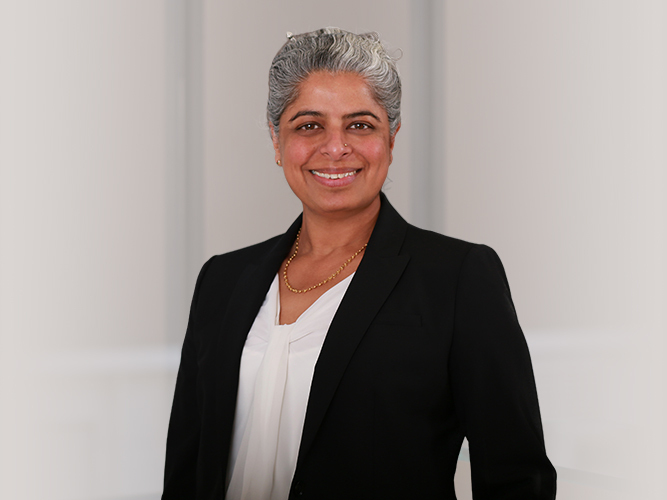 Ms. Singh has successfully litigated, tried and handled the resulting appeals in cases involving attorneys’ professional negligence and ethics violations in commercial transactions and a variety of state and federal trial and appellate matters. The underlying cases in these attorney wrongdoing claims involved, for example: eminent domain and condemnation proceedings; patent prosecution and litigation; trademark litigation; securities litigation with allegations of insider trading; a dispute between a startup company and its venture capital funder; business torts; personal injury matters; commercial construction disputes; immigration; bankruptcy; commercial land transactions. Alongside her legal ethics and professional conduct practice, Ms. Singh also represents companies and individuals in corporate and business disputes. While in law school, Ms. Singh served as judicial extern to the Honorable Susan R. Bolton, Senior Judge of the United States District Court for the District of Arizona, and as judicial intern to the Honorable James S. Starzynski, retired as Chief Judge of the United States Bankruptcy Court for the District of New Mexico. In addition to the practice of law, Ms. Singh holds a Ph.D. in comparative literature with minors in classics and philosophy. As a scholar, she published peer reviewed articles, presented at conferences, and was a lecturer and a resident writing fellow at the University of Wisconsin-Madison. In her free time, Ms. Singh is training to be a pilot. University of Wisconsin-Madison, Madison, WI, Ph.D. (2002), M.A., B.A.